This month we’d like to give you an insight into the work we do as volunteers for Swansea Cats Protection and what better way than to look at it from the cat’s perspective! How might the cats and kittens we help every day see our work? Sometimes they are not at all happy to see us and are terrified we might be just another person to fear and flee from. Others are just bewildered at how their lives have been turned upside down; yesterday they were happy in their home and today they’ve been popped into a carrier and deposited in a cattery pen. So here are a few cat tales from some of our recent rescue missions from the perspective of the cats themselves…meow! 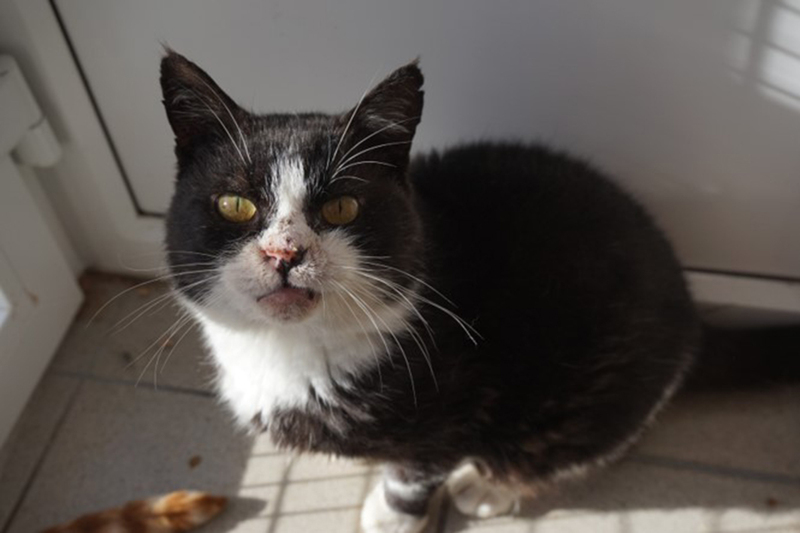 But of course for lovely Silas the only thing that was over was his terrible life of suffering as a stray. He was treated for fleas and worms, his wounds eventually healed and he was neutered (ok, so Silas did shed a tear or two saying cheerio to his manhood!) and microchipped. ‘Hey, it’s like someone owns me now! An old tom could get used to being loved and cared for…not a bad life at all…prrr’. Silas has blossomed whilst in our care and transformed from a desperate, hungry and frightened stray into a real charmer. He’s even caught up with an old friend, Walter, another gorgeous rough diamond from his days on the road. Lucky puss Walter has since found a loving home. Silas says ‘Hey, my old pal’s found a new home, maybe next time it’ll be me’. ‘I don’t know what’s happened! He’s gone! It’s so quiet and I’m frightened. I am alone. Before it was loud music, lots of people, interesting things to eat…pizza, chips, kebabs! I never went out, but it was ok…sort of. Actually sometimes it was a bit scary then and I used to hide until it became quiet again. But I don’t like it this quiet. I hear someone come in every day or so to leave food, but I don’t know who it is because I hide. I know it’s not my owner because he would have found me and cuddled and stroked me. I’ve been here alone forever; I’ve watched the seasons changing from my place on the high up window sill. Meow! Voices! A kind, gentle voice…but she has something in her hand…run! hide! bite! scratch! fight for my life! I’m in a carrier in a car. It’s that kind, gentle voice again…more voices, kind ones too. A cosy bed and kind people, this life is better. There are other cats here too, in pens either side of me – but they scare me a bit. I just keep to myself. I can see the grass and trees from my pen. Meow! I want to run and jump outside! I’d love to scamper up a tree and feel the grass under my paws, but every time I make a dash for it, I’m gently lifted back into my pen. That makes me so cross…grrrr! Why do they keep me in here? 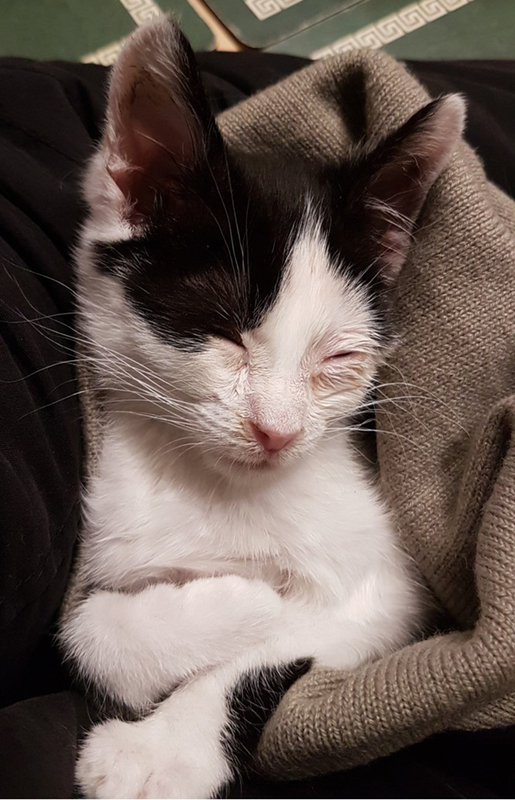 Sweet little Mitzi has had a rough start in life after being advertised on GumTree when she was barely out of kittenhood. Then taken in by a kind young man who sadly had to leave her behind when he moved away and left her for 6 months in a flat, being fed but, not loved. 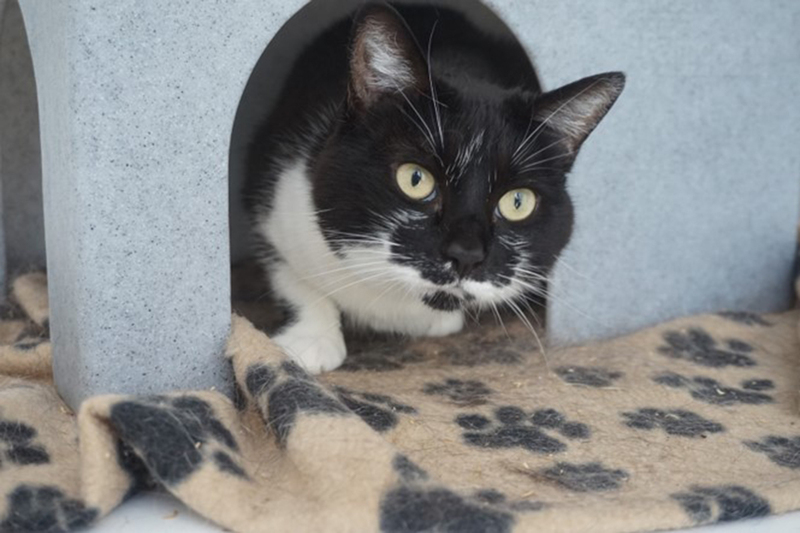 She came to us wary of the world and has been cared for and nurtured by volunteers and cattery staff – she is beginning to trust people again. But her confidence diminishes every time prospective owners just pass her by time after time. We cannot understand why, we really can’t. And neither can she. We very much hope a kind special someone reads Mitzi’s story here and offers her a loving home. ‘Mum! Mum! Muuuum! Meow! Where are you? I’m cold and scared and lonely and very very hungry…Muuum! Oh Mum…come back for me, why have you left me? I can’t find you and it’s getting dark. Meow! What’s that noise? Who’s that? Mum come back I’m so scared. I’m all alone and I don’t know what to do. I had a mum and brothers and sisters and we were happily running around this bit of waste ground and then you were all gone. And I am alone. And I am scared. And I am hungry. I wonder what grass tastes like? Yuk! I’d better curl up here and wait for my Mum to come back. I hope she won’t be long. She never came back for me. I’m alone and I’m scared and so, so very hungry. I don’t feel well, I’m going to curl up on this old newspaper and sleep. I don’t feel well. I’m tired. Hey, hey, what’s happening? Who are you? You’re a human and ouch that hurt. Get off me. Owww! Stop poking and prodding me and no more needles thank you very much, I’m telling my mum on you! Mum! Help! Stupid humans, I’ll hiss and I’ll spit and I’ll show you not to pick me up and comb all my fleas away, they’re my only mates right now. Stop giving me that yucky medicine (although I do feel a bit better, but I’m not telling you that…hiss, spit scratch, bite!). Mmm…and this bed’s very cosy and that human there is quite nice (but don’t tell her I told you so)…she’s kind and gentle and feeds me warm milk from a little bottle, even through the night…that’s what I call service! I think she must be my new mum. Mum! Muuum! I want some more milk please…prrrr’. Hercules is a survivor; a little character who despite his small size had the strength to fight hunger, fear, fleas and a nasty chest infection. He is still under-sized for his age and will need a few more weeks of loving care from his devoted fosterer before being ready for adoption. I hope this has given a flavour of what the cats we rescue think of our volunteer work…we win them round in the end! 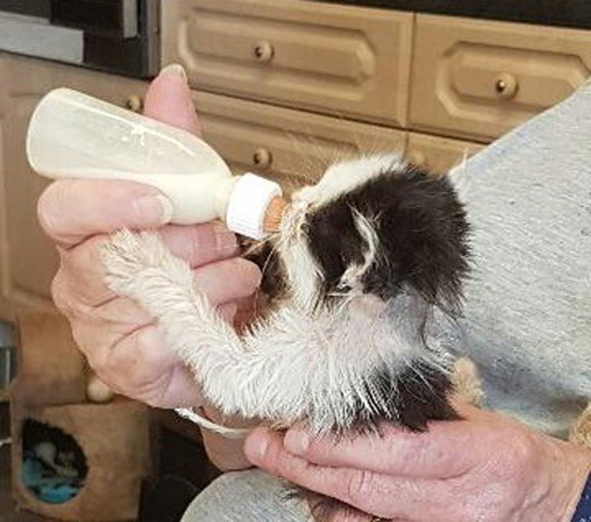 As volunteers we take on a variety of roles which range from trapping stray cats in gardens, on wasteland or industrial sites, to giving four-hourly feeds through the night to tiny kittens in desperate hope they’ll survive….and lots of other jobs in between! We do it in our spare time of course, but for many of our volunteers it’s simply a way of life, it’s what we do and we wouldn’t have it any other way. 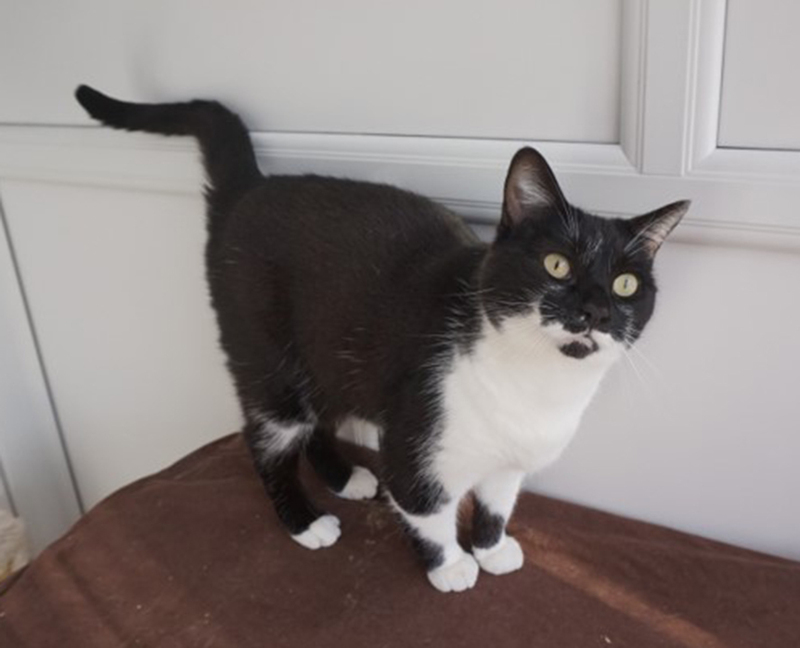 If you think you might be able to offer a kind loving home to Silas, Mitzi or Hercules (or any of our other lovely cats and kittens) do please get in touch and arrange to meet them…they’ll give you a warm welcome prrrr! We can be contacted via our Helpline 0345 260 2101 or email us at swanseacats@hotmail.co.uk Please note our Helpline is answered by a messaging service and we will respond as soon as we can, but please be patient and remember that we are all UNPAID VOLUNTEERS trying to do our best for the rescue cats and kittens of Swansea.